Short post. This is my first Bondi, all finished up. 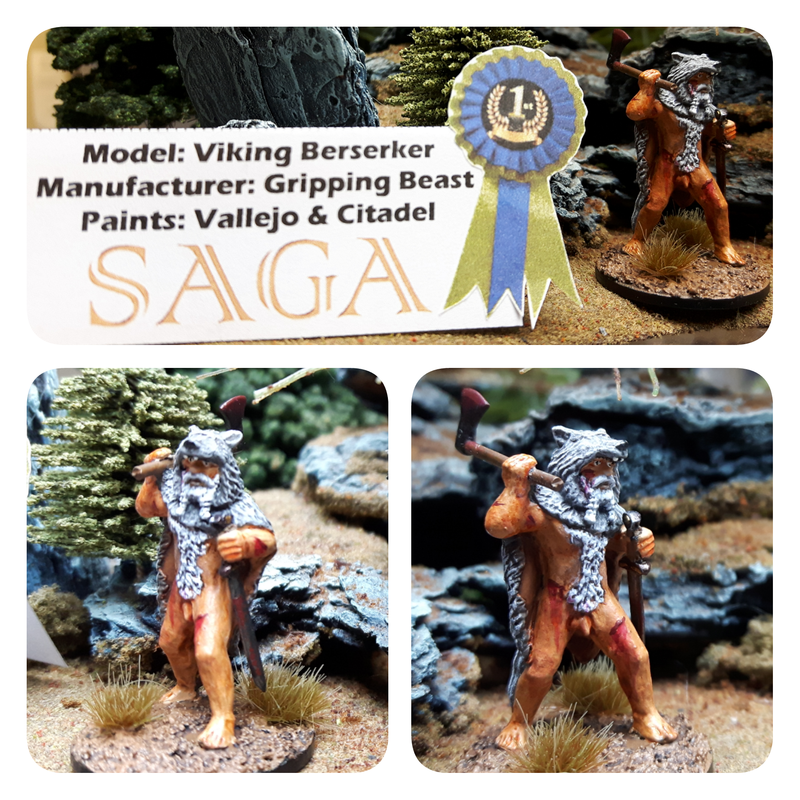 The clear coat is on there and he was entered into the miniature painting contest at ThunderCon. He didn’t place, which was pretty disappointing as there weren’t very many entries in his category and I thought third place was in reach. Maybe next year. I’m hoping I get to see the detailed judging results on him, as I’d love to see how close it was. I’m not a big fan of highlighting, which often hurts my chances in competitions, but it would be nice to know what else I should be focusing on for next time. Bonus? I’m now 12% of the way through painting my SAGA warband. Progress! K, at least a couple of people might be waiting to see how that Berserker came out, so here goes! I’m really happy with how he came out. 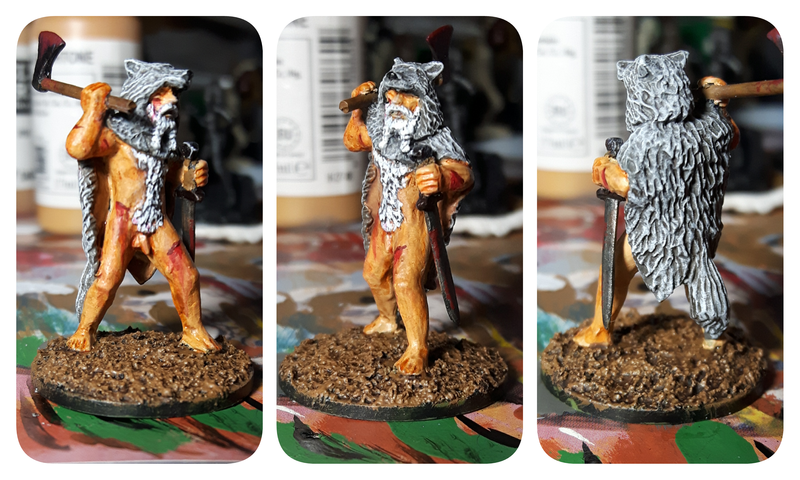 I entered him in Thunder’s monthly painting contest when I finished him (that month’s theme was Historical), but it was the lowest turnout we’ve ever had. Good news is I won, but it meant a little less. Still, this crazy old Berserker was displayed in full view for a little over a month, which felt pretty good. The wash came out a bit grungy, but mostly I just thought it made him look dirty, so I embraced it and tried to make it look like he’s actually in a battle. Hence the wounds, and the blood running into the edge of his beard. The grey pumice stuff ended up looking pretty great on the base; I added a couple of Army Painter grass tufts to give it a bit of variation.